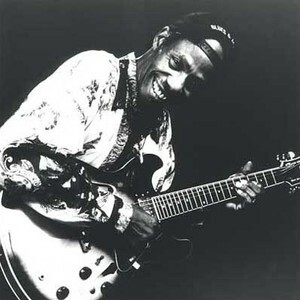 Walter "Wolfman" Washington ?born December 21, 1943) is an American singer and guitarist based in New Orleans, Louisiana. While his roots is in the blues music, he blends in the essence of funk and R&B to create his own unique sound. While he was still in his teens, he was invited to play in Lee Dorsey's band.? In the mid 1960s, Washington formed the All Fools Band, and played at clubs in New Orleans. While he was still in his teens, he was invited to play in Lee Dorsey's band.? In the 1970s, Washington joined Johnny Adams' band. He played with Adams for 20 years, both performing live and also appearing on his records. ?On the other hand, he continued to work as a solo artist: in the late 1970s he formed his own band, the Roadmasters, and toured Europe with them. Washington released his first solo album Rainin' In My Heart in 1981 from a small local label Help Me. He landed a contract with Rounder Records in the mid 1980s and he released total of three albums from the label. After the Rounder days, he also released an album from Virgin subsidiary Point Blank Records. Washington started to play regularly with New Orleans musicians Joe Krown (org.) and Russell Batiste, Jr. (ds.) working as a trio at the Maple Leaf Bar. In 2008 he released the critically acclaimed Doin' the Funky Thing, his first album in many years. Live at the Maple Leaf, a live recording by Krown, Washington, Batiste was also released in the same year.